Googled is Candid, authoritative and based on extensive research, including in-house at Google HQ where Ken Auletta had unprecedented access. 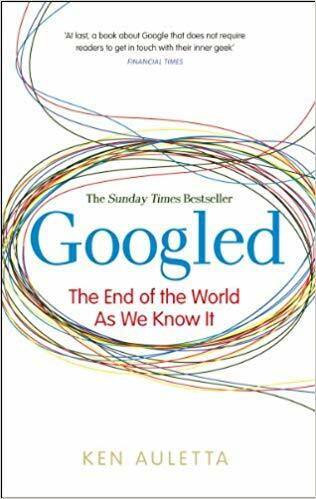 He conducted over 150 interviews at Google with the company's founders and executives and also interviewed those in the media who are struggling to keep their heads above water. Crucially, Google.com is not just a history or reportage: it's forward-looking. Auletta reveals how the media industry in being disrupted and redefined and shows how and why the worlds of 'new' and 'old' media often communicate as if residents of different plants. 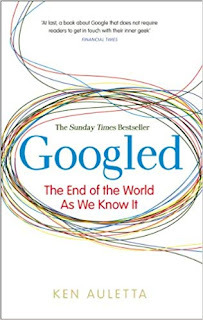 Googled is already being hailed as the definitive work on Google and is a crucial roadmap to how media business may be done in the future.